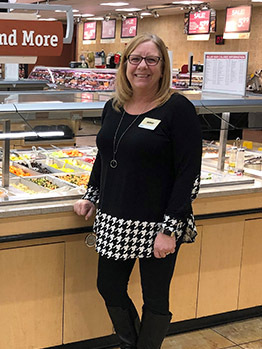 This week’s #TeamMemberTuesday is featuring Sherri, Prepared Foods Specialist at Giant Eagle in the Pittsburgh market. 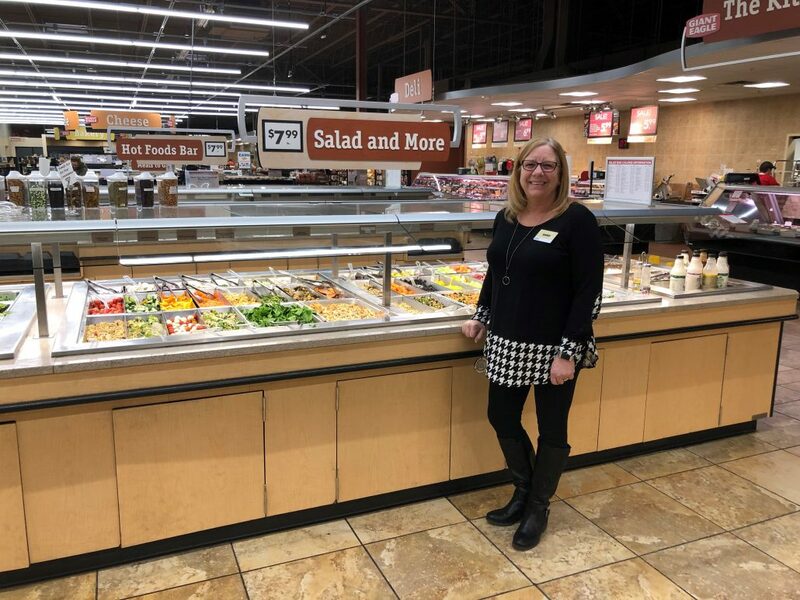 Over the past 10 years, Sherri has become a “Prepared Foods Guru” and enjoys utilizing her experience and knowledge to help set our stores up for success! 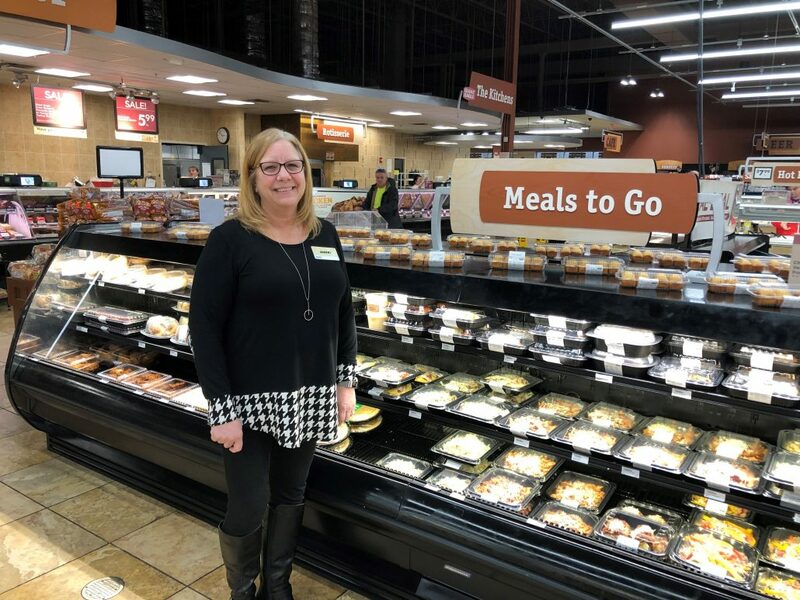 Read more about Sherri’s Giant Eagle story here. I’ve been working for Giant Eagle for 10 years. I started with Giant Eagle at an independently-owned location. I was grocery shopping one day and I ran into the Deli Team Leader, who was someone I had previously worked with at a different employer. She had a few Team Members quit at the same time and didn’t have time to train new Team Members, so she had asked me if I would help her out. I ended up helping her out a couple days a week, which turned into a couple more days a week. During this time, the Prepared Foods Team Leader was getting ready to retire and they offered me the position. It was a good decision for my family, as my husband was facing some uncertainty at his job and my kids were getting ready to go off to college. 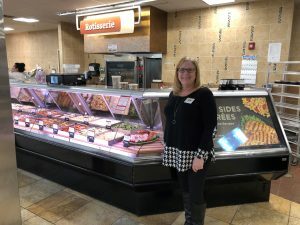 Shortly after I accepted the position, the store became a corporate location, which was a bit of a challenge because I had to learn all the corporate policies and procedures. 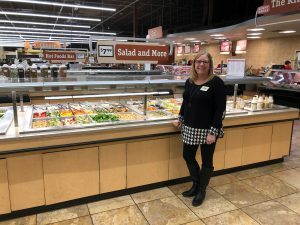 I went to training and I ended up at the Seven Fields Giant Eagle. I was there for a year and then I went to the Shaler Giant Eagle for three years. I ended up going back to Seven Fields for another year. Then my current position came up, as a Prepared Foods Specialist, a role I have been in for the past two years. I really like what I’m doing, and it gives me more quality time with my family. I’ve worked very hard to get where I’m at. Throughout my career, I never liked to fail. I’ve always persisted with my inventory and learned how to do each job well. I’ve had a lot of great teams help me along the way, as well. I’ve also had a lot of support from various Store Leaders and Regional Business Leaders. Everyone has been very helpful! Why have you chosen to stay with Giant Eagle? I don’t like to quit. I push myself and I try to find new challenges, which is what this job was when I moved into this position. I applied for it, but I didn’t think I would get it because there are a lot of people in the Company who have been here longer than me. However, I’ve worked very hard to get here. I can’t imagine being anywhere else right now. I’m passionate about what I do. 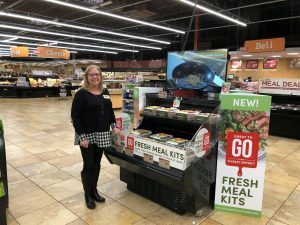 I never worked a day in my life in Prepared Foods until I got the Team Leader role at the independent store, so I never expected to be in this position, 10 years later. I’ve really enjoyed getting to know all the people I’ve worked with over the years. My whole experience working at Giant Eagle has been a positive one. I’m glad that I stuck it out and have made it to where I am today. I really like my job. I’ve built great relationships with my fellow Team Members. I really like the group that I work with, which is very important no matter where you work. Is there anything else you would like people to know about Giant Eagle? I really like Giant Eagle. It’s a great place to work. At the end of the day, it takes a lot of people to keep this business up and running, which provides the opportunity to make a lot of friends. Introducing Caiti, Assistant Marketing Manager at GetGo! 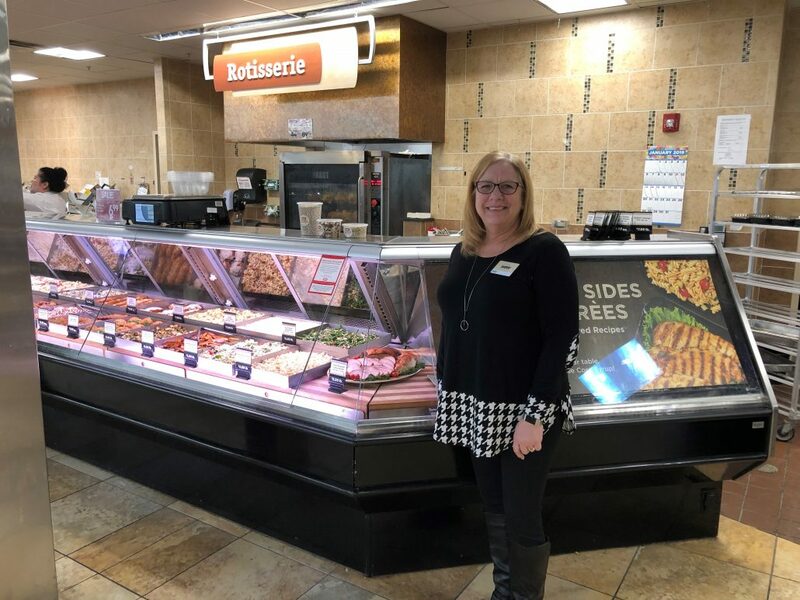 Meet Vanessa, Sr. Store Leader at the Edgewood GetGo Cafe + Market!